Holly arrived at Homeopaths Without Borders as a volunteer for the May 2011 service trip to Haiti. She assumed duties as Executive Director in August 2011. Holly holds a Master’s of Science in Teaching with a focus in environmental studies. She is trained at the New England School of Homeopathy as a classical homeopath, with additional clinical training in Mumbai, India. Holly has over twenty-five years experience working with nonprofits as a director, consultant, board member and program staff. She is the co-founder of a youth empowerment program in central New Hampshire, where she served as co-director for twenty years. In this capacity, she worked closely with schools, community agencies and families. She trained and supervised staff, and frequently organized and led cross-cultural and service learning experiences for teens and adults. Holly is nationally certified in classical homeopathy through the Council for Homeopathic Certification. Lauren is board certified family nurse practitioner and classical homeopath in private practice for three decades. She also worked as a homebirth midwife for two decades. Her experience in conventional and homeopathic medicine allows her to truly integrate both knowledge and practice. Her education has been organic and one of the apprenticeship model, learning and practicing alongside many masters. Lauren has been a guest lecturer and workshop leader for numerous professional organizations, including the National Center for Homeopathy (NCH). 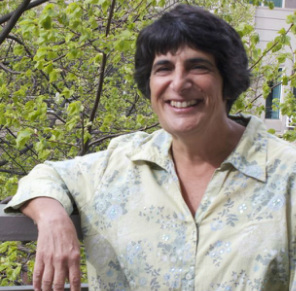 She, along with two physicians, developed and taught a course of introductory homeopathy for doctors and nurses in the Boston area, which was sponsored by Northeastern University. She was also a NCH affiliated study group leader on Cape Cod for 15 years. Lauren’s first trip to Haiti was in September of 2010, eight months after the earthquake. Karen Allen served as Director of Education for HWB from 2012-2015. She has made several trips to Haiti to teach HWB's Homeopathic Fundamentals Course. Karen has authored two books, Tutorial and Workbook for the Homeopathic Repertory, and Certification Prep Guide. 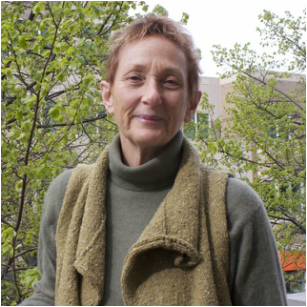 She is a former instructor at Bastyr University, past president of the Council for Homeopathic Certification USA, and is currently a board member for the Integrative Health Policy Consortium. She is a graduate of Texas A & M and the Pacific Academy of Homeopathy. Karen Allen has a private practice in San Francisco, is a sought after international lecturer, and is a instructor of homeopathy at the Phoenix Institute of Herbal Medicine and Acupuncture. “PG" began working with HWB as a translator in 2011, but was quickly drawn to the study of homeopathy and what it has to offer the people of Haiti. He is now HWB’s Homéopathes Communitaires Educator as well as the organization’s liaison in Haiti. PG is the General Coordinator of the newly formed Organisation de Medecine Homeopathique et Alternative d'Haiti (OMHAH). In addition to his work at Homeopaths Without Borders, PG is also employed as an English teacher at the Ecole de Nursing Centre Source de Lumiere and Hungarian Baptist Aid, where he also serves as a translator. PG works with TEARFUND Haiti as Church and Community Mobilization Process Regional Coordinator (CCMP). He recently graduated from the Universitie du Port-au-Prince with a degree in accounting and continues his work there as a consultant to the English Club. In his spare time, he enjoys reading, watching movies, chatting on the internet and working out. Wendy joins the HWB team with a wealth of experience, not only as a skilled and dedicated practitioner, but as an international volunteer who has taught and treated around the globe. She has volunteered as a clinician and teacher in Haiti with HWB, as well as volunteering in Tanzania treating HIV/AIDS with homeopathy with Homeopathy for Health in Africa. Wendy is a graduate of the University of Massachusetts and Logan College of Chiropractic in St. Louis, Missouri. She has studied Applied Kinesiology, nutrition, and functional medicine throughout her career. She received her homeopathic training from the New England School of Homeopathy, Luminos School, Canada and the Koine School. Dr. Pollock currently practices integrative proactive health care that supports individuals and families in obtaining optimal health without surgical or pharmaceutical intervention at Inner Shores in Portland, ME. Wendy founded Turn the Tide Maine which established an alternative health care collaborative for the uninsured and under insured.